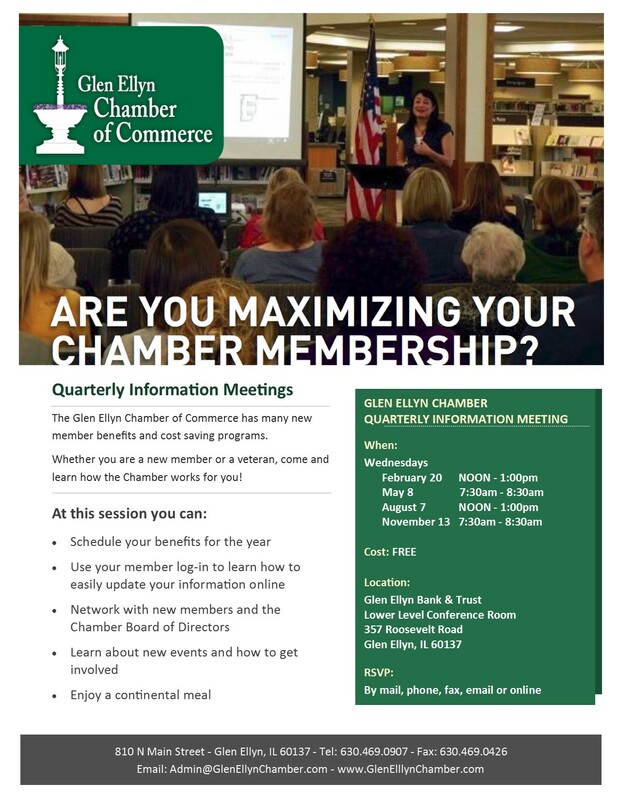 ARE YOU MAXIMIZING YOUR CHAMBER MEMBERSHIP? The Glen Ellyn Chamber of Commerce has many new member benefits and cost saving programs. Whether you are a new member or a veteran, come and learn how the Chamber works for you!